There was a flurry of activity in Bremen, Germany this weekend as superyacht builder Lurssen launched the much anticipated Project Thunder. Few details are known about project Thunder but she is estimated to have an LOA of nearly 130 meters, or 426′. Other sources says Project Thunder is closer to 135 meters, or 443′. As a means of comparison the 104m (341′) superyacht Quantum Blue was near Project Thunder when its bare steel frame was revealed in 2015 and Quantum Blue was reportedly visibly smaller. Lurssen has not yet confirmed the overall length, only mentioning that the superyacht is longer than 120 meters. Project Thunder is the largest superyacht launch so far in 2017. 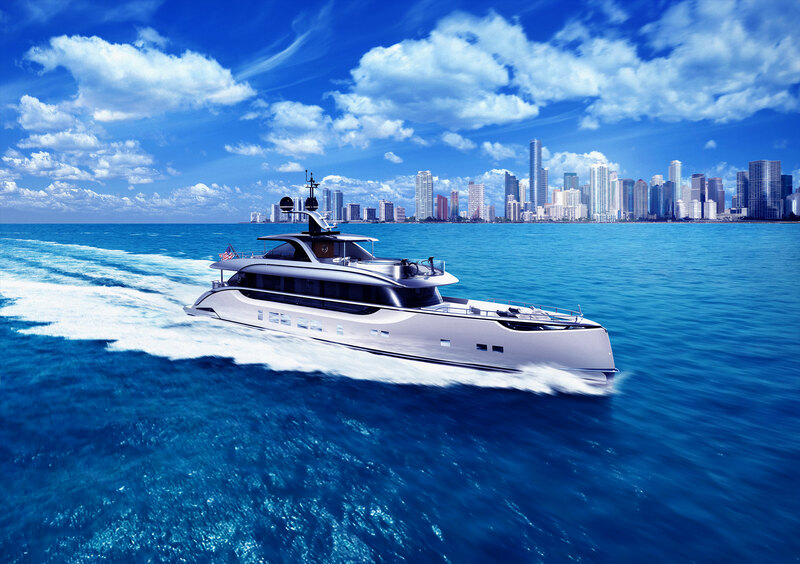 It is known that the superyacht is built on a full displacement steel hull with aluminum superstructure. The exterior has also been designed by Espen Oeino and includes a window spanning three decks high to provide uninterrupted views of the sea. Upon Project Thunder’s expected delivery in 2018 it will be one of the largest superyachts in the world and one of the 10 largest Lurssen’s delivered to date.